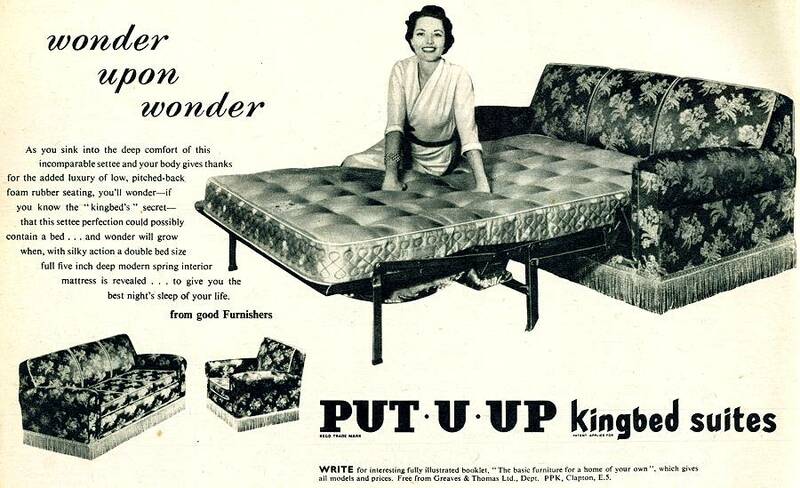 I have vivid memories of sleeping on an old put-u-up in the 1970's. My mate and I ended up crashing out on one at a friends house. I thought he was mucking about, as the thing kept making strange creaking noises. Suddenly the bed folded back up with us in it! It still makes me laugh, just thinking about it!